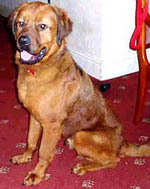 Harry arrived in the pound as a stray in early January 2006. 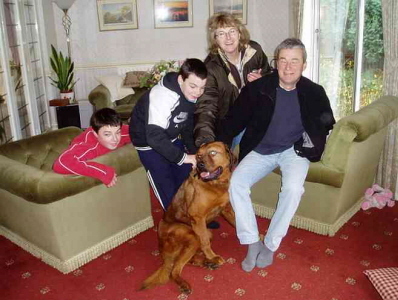 A previous owner was traced, but she had rehomed Harry and his new owner had 'mislaid' him. 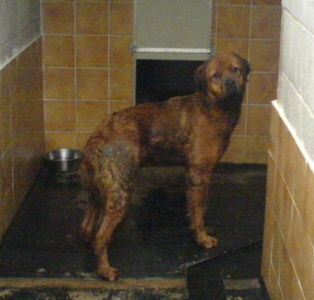 As his first owner could not take him back, he was signed over to Rochdale Dog Rescue to be rehomed. Harry was matted and dirty, and very thin. 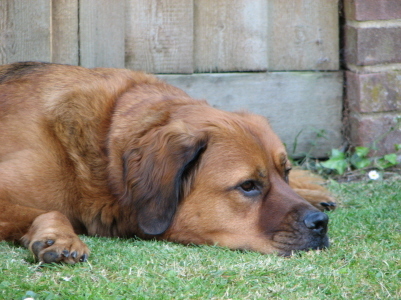 As Harry had been signed over, he did not have to complete his 7 days, and was moved quickly to Lindsey for fostering. His coat was so matted much of it had to be shaved and clipped, but after a good bath and a meal Harry was already looking brighter, and settled in with Lindsey's dog Teddy quickly. 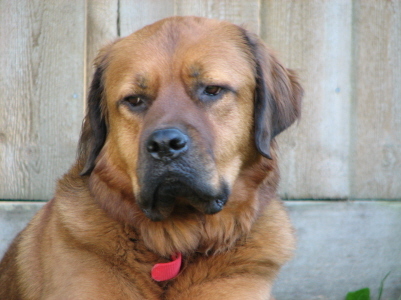 He proved to be a wonderful dog, tolerant, playful, friendly and very affectionate. And of course, incredibly handsome! It wasn't long before Harry had interest, and introductions were made. It was love at first sight, and Harry was in his new home by the end of the month. We receive regular updates on Harry, and are very pleased with his progress. He has regained weight and condition, built up muscle tone and strength and has proved to be one of the nicest dogs anyone could wish for. "He has blossomed in the past month or so. Barking like mad especially when a game is in the offing, tennis balls are a bg hit at the moment, he keeps pinching other dogs balls when we go up to the common so he can have a play. 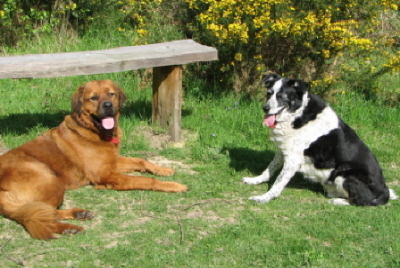 Came on a walk with me and my rambler friends last Wednesday night, and was loved by everyone, especially by the chap who doesn't like dogs very much as a rule! Ended up at a pub on the banks of the canal, people came and stroked him until we left." Handsome Harry has certainly found his Forever Home, and we wish him and his family many happy years together.